Милена Селиме по радио "България"
Неделно училище към Дружество “Просперитет "Голо Бърдо". Lake Prespa is situated in the territories of Albania, Greece, and Macedonia. 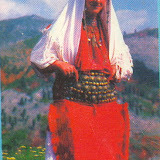 At present, there are 9 villages in the Mala Prespa area inhabited by 5-7 thousand people some of whom have Bulgarian, and some – Macedonian consciousness. Ethnographer Vassil Kanchov cites Pouqueville mentioning that “in the early 19th century, Prespa was populated with Bulgarians alone. 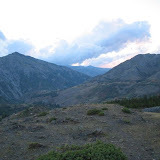 Arnaut migrations to Prespa began from the village of Trn or Tern, lying between theDevol River bed and Lake Mala Prespa, and then moved up further to the north”1. These villages are Eastern Orthodox and have both Bulgarian and Albanian names – Gorna Gorica (Gorica Madh), Dolna Gorica (Gorica Vogel), Tuminec (Kalamas), Glubočani (Golumboc), Šulin (Belas), Pustec (Likenas), Tzerie (Cerie), Zrnovsko (Zarosh), and Lesko (Lepis). This is where the scene is laid of “The Prespa Bells”, a novel written by Bulgarian author Dimitar Talev, a native of Prilep (modern Republic of Macedonia), which depicts the struggle of the Bulgarian population in Macedonia for liberation from Ottoman rule in the 19th and 20th centuries. The mythical town of Prespa portrayed in Talev’s work is fiction; existent in reality isonly Lake Prespa. Lake Prespa lies 30 km north of the town of Korçë, a distance travelled for about 45 minutes on a narrow road meandering up in the mountain. The village of Pustec is situated in the middle of Mala Prespa, on the Lake Prespa shore; it has around 300 houses and as many as 1200 inhabitants. On the mountain top, next to the traditional Albanian pillboxes, an Eastern Orthodox chapel has been erected.We entered the village on an October early afternoon2, along with a rickety bus arriving from Korçë, a vehicle which seemed to be about to fall apart any moment. Seen around were neat houses with dried red peppers and ropes of onions hanging on the walls. We walked past friendly-looking women in cotton-print skirts, wearing white or patterned head scarfs; the men were doing their daily jobs outside the houses, some were occupied with work by their boats. Local people catch dace in the lake. As we toured round the muddy village streets, we enquiredpeople what their origin was. We asked them in Bulgarian, they answered in their own dialect.“We are all Macedonians”, was the most common answer. “In 1920, when Greece came over, it was Greek rule here and we studied Greek. When Ahmed Zogu came in 1924, we studied Albanian. In 1945 teachers came from Macedonia and we began having classes in Macedonian. We start learning Albanian from the 4th grade of the elementary school, until then we have lessons in the Macedonian language”, explained L. B., a 73-year-old man. We inquired whether life was better now than in the Enver Hohxa era. “Life is better now. You can go and work wherever you like”, responded the old man who was satisfied with his pensionof 7000 leks (around 50 euros). 1. Кънчов, В. Избрани произведения. Т. 2, Наука и изкуство, София, 1970, с. 385. 2. Fieldwork in Albania, 25-31 October 2003: A. Zhelyazkova, A. Chaushi, V. Grigorov, D. Dimitrova, T. Mangalakova. An aged woman told us about her difficult life. “We keep working, but the land isn’t good here. Many of our people work in Greece and in Macedonia. All of us have Macedonian passports; it’s easier for us to gad about Macedonia. Why go to Bulgaria, when we’ve got no money”, said theold woman who had a pension of 20000 old leks (2000 new leks, the equivalent of about 15 euros). “How do you live on that little money, I say, sister?” she complained. M. M. (a 45-year-old female) told the team that all village dwellers had Macedonian passports. She and her husband had travelled to Skopje and submitted an application for Macedoniancitizenship; they had paid DM 100 and a month later they were Macedonian citizens. There is no employment available in the village. Using their Macedonian passports, Pustec people leave the place to earn their living in Macedonia. When asked what kind of jobs they found there, since in Macedonia itself unemployment was quite high, their reply was short: “As day-labourers”. For a week-long work there, they receive 10-20 euros. Other people travel to Korçë or Greece to earntheir livelihood - cutting wood, or working in construction for a small pay. The construction of a church of St. Michael the Archangel had been started in the centre ofPustec. At the time we visited the place, the construction was “frozen”, because there were nofunds. The villagers would not accept assistance from the Greek Church; they believe they belong to the Macedonian Orthodox Church3. Under Enver Hoxha, the local church building wastransformed into a shop. There was a school where classes until the 4th grade were in Macedonian. In Pustec, Radio Prespa has begun broadcasting in Macedonian since 2002. Newsand music have been on the air in four neighbouring villages. This radio station is owned by thePrespa Association, the Pustec-based organisation engaged in protecting the rights of ethnicMacedonians in Albania, and the equipment has been donated by the Council of Radio Broadcasting of the Republic of Macedonia. D. is a seventh-grade student. He studies Albanian, English, and Macedonian. He said there werestudents from the village at the Bulgarian universities in Sofia and Veliko Tarnovo. “When I finish school, I’ll go to Korçë and then to Bulgaria or Skopje to get a university degree”, was how he summarised his plans for the future. With support from Canada, three years earlier the Church of St. Athanasius had been built, while the new church was being erected with funding from the Republic of Macedonia, explained teacher S. The local people depend for their livelihood on raising sheep, goats, cows, and on growing wheat and maize. On the outskirts of the village, on the lake shore, a Christian cross isvisible – as evidence that “the old village had lain there and there had been a church”. According to S., the island in Lake Prespa is named Male grad, standing there is a church which King Samuel attended in his day; there had been a burial ground too. Pieces of ceramics from the Bronze Age have been found there. Twenty-year-old A., who studies law at the University of Veliko Tarnovo, Bulgaria, explainedhow in the local elections held in the autumn of 2003 they had re-elected their old mayor, a Socialist, because he had promised to repair the road leading to the village, as well as the village streets. In the Prespa region everybody knows everybody; the young people are married at 21-22 years of age. “In Prespa, you’re already an old bachelor at the age of 25-26. People begin to gossip about you, for there must be something wrong with you if you haven’t got married by that age”, said A. His parents work in Lerin, Greece. One of those living in Pustec is uncle S. who is the head of the Mala Prespa section of the Ivan Vazov Bulgarian association. He organises Sunday schools in Bulgarian held on Saturdays and Sundays, two hours per week, in the nearby town of Pogradec and in Prenjas. Bulgarian is not 3The Macedonian Orthodox Church has not been recognized as autocephalous. – Author’s note. taught in the Albanian public schools, but only in some private language schools in three Albanian towns – Tiranë, Elbasan, and Korçë. We asked him what the people in Prespa were –Bulgarians, or Macedonians. “Some believe themselves to be Macedonians, some believe they’re Bulgarians”, uncle S. answered. 4.According to uncle S., many places in Albania have Bulgarian toponymy. He enumerated the names of the villages lying beyond Moravia, with their Albanian and Bulgarian designations – Vrbnik, Bilishta (Biglishta), Znblak (Sonblak), Hocishte, Poloska (Ploska), Kapshtica (Krapešnica). Within the Korçë area are Borja, Drenovo, Dvorani; in Moravia – Podgorje, Alarup (“This one is made up of two words “God’s urop”. “Urop” means God’s little hammer. Fine ore was found here, that’s why they called it Alarup – Allah – of God”, explained uncle S.), Charava (Chernava), Pretusha, Gribec, Girk, Mochani, Malik, Krushova, Vinchani (“A lot of grapes were grown here”, uncle S. said), Voskop, Gergevica, Moskopoje (Moskopoli), Vitkuchi (Viskok “visokii skok” [high jump], the respondent specified), Lubonja, Pepalash, Nikolicha (Nikolica), Shtika, Vodica, Luarasi, Gostilisht, Erseka, Borova, Barmash, Kovachica, Radini, Petrini, Furka,Charshova, Leskovik. “Then it’s Berat – Beli grad, and Durrës – Dobrinija, and so on. The toponyms have all been changed”, uncle S. went through them name by name. People in Prespa are not familiar with history We visited 30-year-old B., born in Pustec, but living in Korçë, and became acquainted with her family’s history. B.’s mother was born in Pustec, and her father is an Eastern Orthodox Albanian. They had moved to town when B. was 4 years old. B.’s grandmother, aged 78, recalled that in her day there was not any Macedonian school. 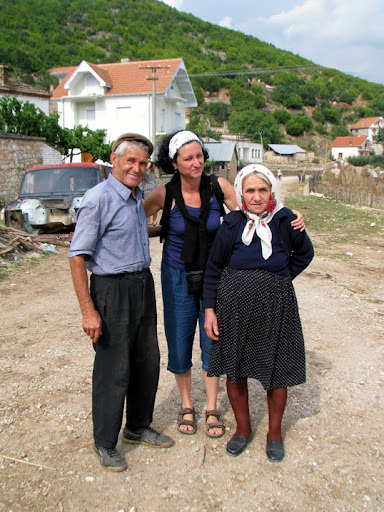 “When I came to Korçë, I couldn’t even buy myself bread, I didn’t speak Albanian. I learnt it from my friends”, she droned on in an old-time Bulgarian dialect. We wanted to know why most of the people in Mala Prespa thought themselves Macedonians.“I’ve learnt Macedonian from my grandmother in whose house only Macedonian was spoken. It was difficult for me when I arrived in Sofia to study law. I lived 10 years in Bulgaria, I came to know history and I’m aware I’m Bulgarian and the people in Prespa are Bulgarian too. But they’re not to blame for not knowing history. Besides, Bulgaria has done nothing for these 4Uncle S.’s account is given unedited. – Author’s note. in Golo Brdo have both Albanian and Bulgarian place-names – Steblena (Stebljevo) , Klenja (Klenje), Trebisht (Trebišta), Ostreni i Madh (Golemo Ostrene), Ostreni i Vogel (MalkoOstrene), Gjinavec (Ginovec), Tucepe, (Tucep), Sebisht (Sebišta), Borove (Borovo), Zabzun (Zabzun). 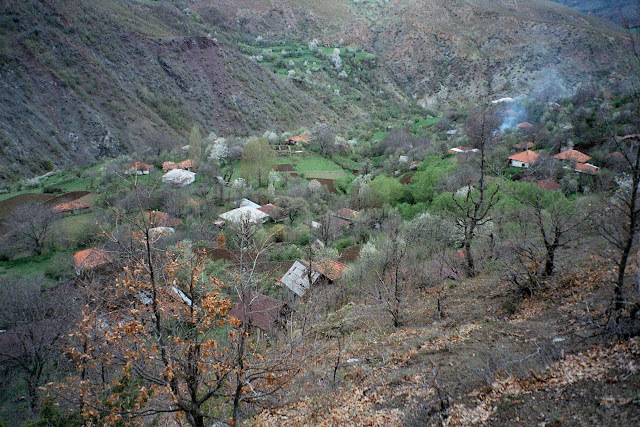 The population in the last two villages includes Bulgarians and Albanians. The Prosperitet Golo Brdo Association is concerned with the preservation of the traditions, folklore and customs of the Bulgarian population; it organises Bulgarian language courses. Its activities are basically focused on establishing cultural and economic contacts and relations with Bulgaria; among its objectives is also the opening of a Bulgarian college in Tiranë. S. H. P. is a native of the village of Stebljevo and we talked without an interpreter. He told usabout their collaboration with Bulgaria dating from 1992. In the preceding period, for years on end they had had no information and contacts whatsoever. On the beach at Durrës, four womenfrom Stebljevo, residents of Elbasan, met some women from Bulgaria. They found out they spoke the same language. After the Bulgarian women returned to Bulgaria, VMRO representatives – Spas Stashev, Krassimir Karakachanov and Evegeni Ekov, visited Golo Brdo. An association named Stroitelite ot Golo Brdo [The Builders of Golo Brdo] was registered, and, later, another one – Prosperitet – Golo Brdo. “I’ve been to the court four or five times in order to register the association”, reported H. P. The Bulgarian language in Golo Brdo has been preserved, although the people do not know Bulgaria. “We speak Bulgarian at home, we sing and dance; it’s from our infancy that we’ve begun speaking Bulgarian.” In no single school in Golo Brdo is the Bulgarian language taught. Before going to school, most of the children already speak the language which they learn at home, and only after the age of 6 do they begin to speak Albanian. In the village of Vrnica, there were Bulgarian teachers in 1912-1914, H. P. said. “In this place, the Serbs [are said to have] had many problems with the Bulgarians. The Bulgarians had a frontier between Stebljevo and Klenje. Our village had been driven away from Serbia three times.We say “madjiri” (migrants), “muhacir” in Turkish. All were Christians, and there are manypeople that have two names. For example, Gjon and Kostadin have also Muslim names.” H. P. elaborated on what awareness the people in Golo Brdo had of their identity. “At first, wedidn’t know who we were, what our origin was. We were self-aware, but we didn’t knowBulgaria. We started the association with 168 people, all intellectuals. We want contacts with Bulgaria not for the sake of assistance alone, but in order to have her come here and be involved with some economic projects. Bulgaria could never become related with us unless this is done.” In addition to ethnic Bulgarians, in Golo Brdo there are people who have Albanian consciousness, as well as such of Macedonian identification. “Those ones, the Macedonians, are more powerful, more aggressive; Macedonia itself works more aggressively among us… Bulgaria has a different state conception. It’s better for us to work with Bulgaria, in a more normal, more composed, more peaceful way, free of any complexes. We don’t have here in Golo Brdo many of the things Albanian, we don’t have blood feuds, nor Kanun.” The men in Golo Brdo travel abroad to Greece, Italy, and Germany to earn their living. Currently,the population keeps migrating to the large towns – Tiranë, Durrës. Now, only 20 out of 200 houses are populated. “From Stebljevo alone there must be some 720 households in Tiranë”, said H. P.
others – 2 per cent (Wallachians, Roma, Serbs, Montenegrins, Macedonians, Bulgarians). These figures are questionable, since in the April 2001 population census questionnaire forms there were no entries for religion, language, and national identity. On 25 November 2003, during an international scholarly conference held under the auspices of the German Embassy in Tiranë, an Albanian geographic and demographic atlas was presented.This encylopaedic work has been the result of the co-operation among the University of Tiranë, the Centre for Geographical Research at the Academy of Sciences, the University of Pristina, the University of Potsdam and the Higher School of Technical Sciences in Karlsruhe. The Atlas provoked a debate among the Albanian intelligentsia whether the Aroumanians in Albania are a cultural or an ethnic minority. “The conclusion of this atlas is surprising, to say the least, because for the first time ethnic minorities have exceeded 10 per cent – the official figure is 2-3 per cent, in particular zones predominantly, like the one in Gjirokastër. What’s more, in contrast to past practice, some cultural groups such as the Aroumanians, the Roma etc. have been defined in theAtlas as ethnic minorities … When the matter in hand concerns minorities in Albania, surprises never end – the Macedonians in 9 villages near Prespa realised they had run up to over 500 000,the Roma concluded they were at least 300 000, the representatives of the organisations of theGreek minority didn’t present any figures. In this Albania, with a population of 3 million, theAlbanians have remained the only minority not claiming large numbers, perhaps because if all minority claims were taken into account, there would be no place for them left in this country”, writes the Albanian “Klan” magazine 5. Tiranë shows concern about the protection of the national rights of Albanians in Kosovo and Macedonia, but in Albania itself there are no accurate data on the number of minorities. In 2001, when the population census in Albania was taken without recording religious and ethnic identification, many politicians and administrators in Albania raised their voices in favour ofincluding forms in Albanian in the census to be taken in the Republic of Macedonia. In aconversation with R. L., chief of a non-governmental organisation based in Tiranë, the teammembers expressed their opinion that the situation is rather paradoxical. “You are quite right when saying there should be minority statistics in the census. I’d like to see religion… I think that Muslims are not 65 per cent and, in my opinion, the census should clarify this question. To identify, for example, if I am a Muslim and my wife an Orthodox Christian, and what my daughter is, etc. In my view, the most important characteristic in the census is the religious and not the ethnic one”, he remarked. Albania admits the presence of minorities by bilateral international agreements. However, there is no agreement between Tiranë and Sofia settling the issue of the Bulgarian minority. Tiranë acknowledges there is a Macedonian minority in Mala Prespa entitled to instruction in their native tongue until the fourth grade. “In my opinion, the population in Golo Brdo is also a minority, but you yourselves should say whether they are Bulgarians, or Macedonians. They themselves don’t know whether they’re Bulgarians or Macedonians. The way there’s no problemwith recognising Montenegrins as a minority, there will be no problem at all to acknowledge a Bulgarian minority. We aren’t neighbours, and we have no problems with the borders. During the communist era they simply didn’t know they were a minority, and, after all, everybody calls himself as he likes, they identify themselves as Macedonians, so we accept them as such. If it turns out they are Bulgarians, we’ll accept them as Bulgarians”, R. L. said. 5. Shameti, S. Quelle place pour les Aroumains d’Albanie? Klan, Décembre 2003, Le Courrier des Balkans,http://www.balkans.eu.org/article3938.html. 6. Mangalakova, T. Prof. Arben Puto denies there is Bulgarian ethnic minority in Prespa. In: сп. Балканите, бр. 18, 2001, с. 5. 7Ibid. 8. Мангалакова, Т. Паскал Мило, министър на външните работи на Албания: Албанците трябва да участватпо-широко в управлението на Р. Македония. – In: Македония, бр. 22, 1998, с. 4. 9. Иванова, Т. Македонското правителство трябвало да даде повече права на албанците. Смята албанскиятпремиер Александър Мекси – В: Македония, бр. 47, 1993, с. 2. 10. Prime Minister Simeon Saxe-Coburg Gotha has received a letter of grateful acknowledgement from Bulgarian associations in Albania, http://government.bg/PressOffice/News/2003-10-03/7476.html. 11. Ministria e bashkepunimit ekonomik dhe tregtise Secretariati Shqiptar per Paktin e Stabilitetit, Tryeza Kombetare I – Democratia, 3. 12.Тодоровска, В. Локални избори во Албаниjа. Вести, Телевизия А 1 – Македония, http://www.a1.com.mk/vesti/vest.asp?VestID=2467. 13. Стоилова, М. Македонците во Албаниjа се стремат кон семакедонска партиjа. Вести,Телевизия А 1 -Македония, http://www.a1.com.mk/vesti/vest.asp?VestID=21842. 14. Средбата Нано – Црвенковски со посебен третман во албанските медиуми. Телевизия А1 – Македония, Вести, http://www.a1.com.mk/vesti/vest.asp?VestID=14832. 15. Македонците во Албаниjа до правата со протести. Вести, Телевизия А 1 – Македония, http://www.a1.com.mk/vesti/vest.asp?VestID=7615. Mala Prespa, chiefly in the sphere of cultural co-operation. As a result of the deepening crisis faced by the Macedonian state and its uncertain future, expectations are that the population of Mala Prespa will turn their eyes to Bulgaria. At the moment, many people in Mala Prespa haveMacedonian passports along with their Albanian ones, but the Bulgarian passports will becomemore attractive because with them one will be able to travel visa-free to the EU countries. After 2001, there has been an influx of Macedonians that have obtained Bulgarian passports attractedby the possibility for a legal 3-month stay in the EU during which they could work illegally there.An analogous rush for Bulgarian passports might be seen in the next few years among the population of Mala Prespa and Golo Brdo. A greater number of people in Mala Prespa and Golo Brdo are going to apply for Bulgarian citizenship. The procedure lasts for about a year. There are two points of view in Bulgarian society concerning the matter of Bulgarian passports for ethnicBulgarians living outside Bulgaria. VMRO (an opposition party describing itself as nationalist) has given the example of the Macedonian ambassador who toured Mala Prespa to hand out Macedonian passports. VMRO criticises the Bulgarian institutions on account of the cumbersomeprocedure by which ethnic Bulgarians apply for Bulgarian citizenship. The second view is more conservative and it is largely maintained by top Bulgarian officials – the procedure should not be revised because Bulgaria cannot receive large numbers of emigrants.Ethnic Bulgarians living outside Bulgaria who have no documents certifying their ethnic origin have to present a certificate of Bulgarian origin issued by the State Agency for BulgariansAbroad (SABA) and required in applying for Bulgarian citizenship. The papers are submitted tothe Ministry of Justice; some other state institutions, too, should make certain inquiries. “I cannot agree we should issue a certificate based on an [individual’s] signature alone, and a passportwith just two signatures. This is in contradiction to the elementary logic of the state’s commitments and our confidence that we are a normal administration... There is no collective procedure in resolving this problem, the approach is individual. I cannot agree that the approach of the Macedonian administration whose representatives are said to have been going about with suitcases full of passports and handing them out, is the better one. In terms of Bulgaria’s authority and positions lately, I can’t see anyone giving Macedonia as an example for us”, pointed out S. H, top SABA administrator. Mala Prespa and Golo Brdo are going to experience depopulation. Migration processes will leadto the obliteration of language and culture as major characteristics of population’s identity. It is possible that in one or two generations the Bulgarian language now spoken at home will be usedonly by the elderly people. The way of life, the customs and manners of the population in Mala Prespa and Golo Brdo should be studied and described by researchers and scholars. So far, none of the non-governmental organisations of the ethnic Bulgarians in Albania has its own web site. Because of the geographic isolation of these regions and the poor transport links andcommunications, one of the ways to increase contacts is to launch an internet portal or a web sitewhere various information will be published – for example, details about the application procedure for Bulgarian universities, different ways and channels for studying Bulgarian (even via Internet), etc. Increasing the contacts of ethnic Bulgarians in Albania with Bulgaria will lead to enriching Bulgarian culture and language in Bulgaria itself. However, this is a topic which is yet to be investigated. 02.12.2006 г., град София, България. В събота на 2 декември 2006 г., в град София се проведе поредната кръгла маса на Културно-просветното дружество "Огнище": "Българите в Албания и Косово". На събитието бяха изнесени доклади засягащи културата, историята и съвременните проблеми на българите живеещи в Голо Бърдо, албанска Гора и Мала Преспа. В предаването "Майчиният език", бе представена Милена Селиме от семинара по български език и литература в Албания. Българката от Албания говори за обучението по родния език в Тирана, за проблемите стоящи пред българската нация в Албания и начините за тяхното решаване. Софика Мале. Родена е в гр.Корча -Албания. Учи театрознание в легитимният " театрално-филмов университет" в София. Има издадена стихосбирка на албански. Множат се, и се множат и . . .
Когато и “царят” с лъжи може да те убеди! ? Старата пустиня да го забрави . . .
Измишльотина или приказка няма значение . . .
Какви са историческите му факти? Има ли цена за него? Председателят на дружествата на българите в Албания Хаджи Пируши : Македония няма мощ, а България е голяма държаваТирана. Българите в Албания не познават хората тук, които се определят като македонци. Те са малко и не ни притесняват. Ние нямаме и не искаме да имаме нищо общо с тях. Това каза пред Агенция “Фокус” председателят на албанското културно-просветно дружество “Просперитет” Хаджи Пируши.“Те имат свои икономически интереси. Македонската държава помага на тези хора. Скопие се грижи за тях. Дава им паспорти, пари, помага им в образованието, а има и инициатива за откриване на македонски училища в Голо Бърдо”, каза Пируши.Според него корените на присадения македонизъм са главно в недостатъчния интерес и грижа на българската държава за българите в Албания. “Македония проявява по-голям интерес за населението в Голо Бърдо. България трябва повече да се грижи за нас. Македонски паспорт може да се извади за седмица, а за български паспорт трябва да чакаме година и половина. Имаме проблеми при ваденето на документите от Агенцията за българите в чужбина”, каза Пируши.За твърденията на вестник “Дневник”, че македонската общност в Албания е изпратила протестно писмо до председателя на парламента в Тирана, Пируши каза: “Това са шеги. Хората да си пишат, каквото си искат. Те са близки на македонската държава”. Според Пируши те нямат възможности и не представляват заплаха за каузата на българите в Албания. “Македония няма мощ, докато България е голяма държава и пак припомням, тя трябва да помогне на българите в Албания”. Според него София трябва да инвестира в Голо Бърдо в областта на образованието, енергетиката, туризма. Хаджи Пируши, председателят на Дружеството на българите в Албания, наречено “Просперитет”–Голо Бърдо, е етнически българин. Той е роден в с. Стеблево, Албания, но живее и работи в столицата Тирана. По професия е металургичен инженер, завършил е и философия. В момента има частен бизнес. Значителна част от времето си обаче отделя за решаване на проблемите на българите в Албания в рамките на Дружество “Просперитет”, което ръководи вече 5 години. “Ние работим за българската кауза, защото не само се чустваме, ние сме българи!” - каза Хаджи Пируши за Радио България на чист български език. – “За първи път дойдох тук през 1991 г.” - спомня си той. - Ние се чувстваме българи, говорим на български, спазваме българските обичаи, но не познавахме страната. Имах голямо желание да дойда тук и да видя какво е, да доведа и дъщеря си, да я изпратя да учи висше образование тук. Отначало много неща не разбирах, когато хората говореха. Има разлика в диалекта, но като ги карах да говорят малко по-бавно, всичко разбирах. Гледам, ние сме си същите, едно голямо семейство. Така започнах да работя, без да мисля дали, какво и как мисли България за нас. България е голяма държава, а ние българите там, в Албания сме малко на брой. Не можеш и да очакваш веднага България да се обърне към нас - тя също си има много проблеми. Но малко по малко почнахме да работим много добре съвместно. Първо решихме да си възстановим българския. Слушахме предаванията по Радио София /сега Радио България/ - песните също като нашите, пееха ги големи български певици. Същите песни пеем и ние на сватбите си. Няма никаква разлика между тях и тези в Пиринска Македония, Югозападна България. През 1996 г. бях в заведение в Благоевград. Когато оркестрантите разбраха, че съм председател на българско дружество в Албания започнаха да свирят и пеят… нашите песни. И аз пеех и танцувах хоро с тях. В този момент, както им казах и на тях, не знаех къде съм - сякаш не съм бил на земята, а на небето или не знам къде. А като се върнах в Албания, казах на нашите от сърце и душа: “Всички ние сме българи. Ние сме раждани с тези песни, расли сме с този език, с тези обичаи. Никой не знае от кога се помним като българи в днешна Албания. Не знаем и колко точно сме на брой, защото в Албания национални етнически малцинства не се признават и не се прави преброяване за тях като такива - обяснява Хаджи Пируши. Може българите да са и много повече, но засега се казва, че са около 6 хиляди. На срещата с бившия български премиер Симеон Сакскобургготски при визитата му в Албания предложихме 2-3 варианта за решаване на най-важните за нас проблеми, особено по езика, защото започва да изчезва” – припомни Хаджи Пируши. “Първият вариант - поясни той - е в Албания да се построи от българската държава български колеж. За да се познават българите в Албания, те трябва да имат български колеж. Има турски, гръцки, американски, немски, френски. Може ли една 8-милионна държава да няма пари да направи една сграда за колеж? Ако този варириант не става, другият може да е частно българско училище. България да прати оборудването, да го подари – има фондации, както се правят нещата днес. Ако искаш, пътят се намира. Не може обаче твоето да се прави от други нации. Въпрос на патриотизъм. В цял един район, нарича се “Кодра Прифтит /Попово бърдо/, може би има над 400 къщи, в които живеят българи. Повече от 60-70 процента от вилите са на голобърдци, които са с български произход. В къщи си говорят на български, защо да не знаят и да го пишат, защо да не ходят в тези училища? Ние нямаме богати бизнесмени да инвестират в това.